Dave Walker of the Royal Borough of Kensington and Chelsea’s Local Studies Department, based at the Hornton Street library, has another intriguing post about North Kensington's history on the excellent Library Time Machine blog. The post includes some fascinating old photos from the 1960s of a long-disappeared Golborne before sweeping slum clearance that made way for the likes of Hazelwood Tower. The photos were originally held by the council’s former Health and Welfare department. 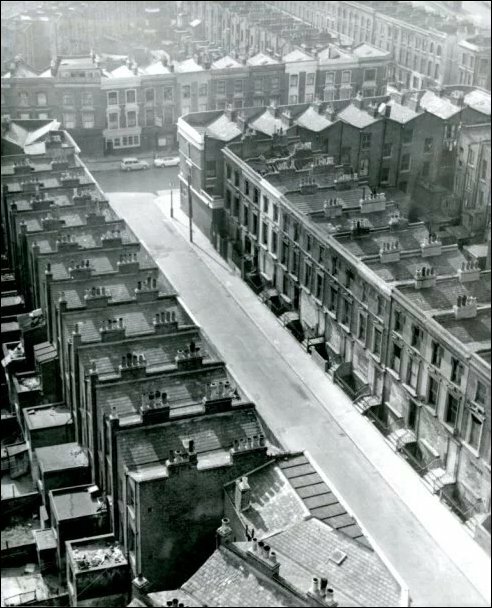 This photo shows the old Appleford Road leading to Golborne Road, before the houses were demolished and Adair Tower and Hazelwood Tower were built. “That first photo is of Appleford Road but looking towards Golborne Road. That very distinctive shopfront facing Appleford Road, which I’ve seen in two other photos, gives it away. “The street running at right angles in the top right hand corner is Southam Street running towards Westbourne Park station. From the angle, the photo was taken from Adair Tower as was the photo of Hazelwood Tower, distinguishable because it’s at the apex of the angle created by Hazelwood Crescent and Golborne Gardens. 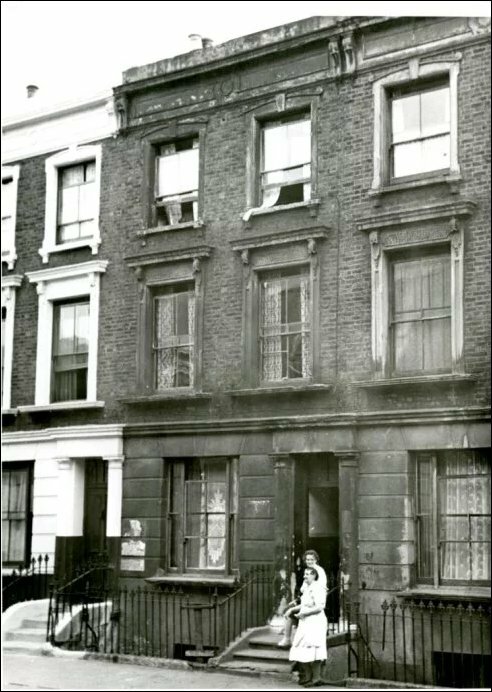 And Gwen Nelson, also writing in the comments, adds more fascinating detail: “In the first picture it is definitely Appleford Road facing Golborne Road. The shop that’s visible top left-hand is 23 Golborne Road that had the bookies downstairs and where the Gonzalez and Christou families lived upstairs. 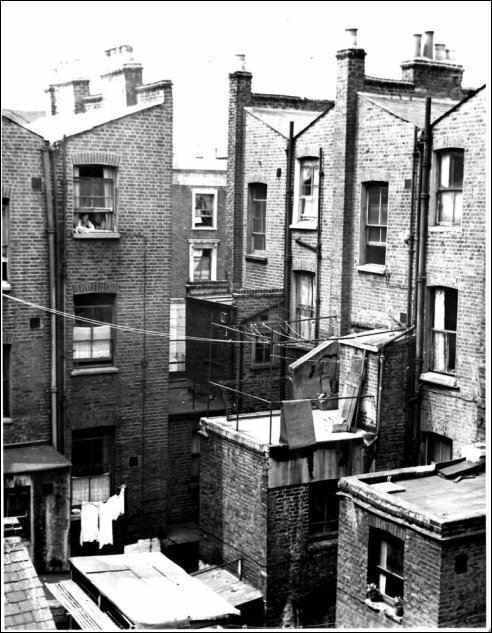 This photo shows the rear of now-demolished houses on Golborne Gardens. 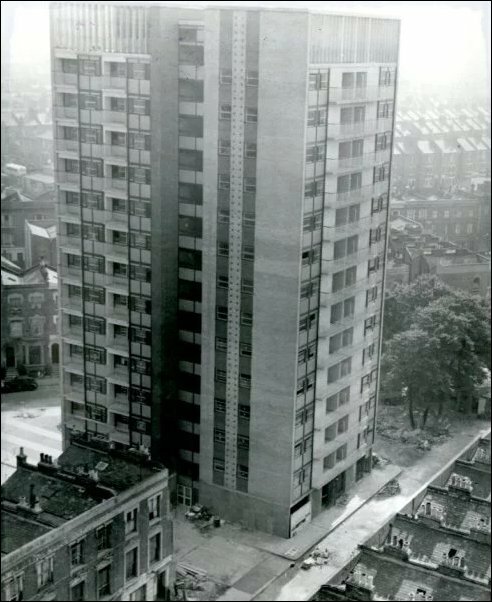 And this shot shows the frontage of the Golborne Gardens houses. Of course, the street plan of this part of Golborne has changed beyond recognition since the 1960s. 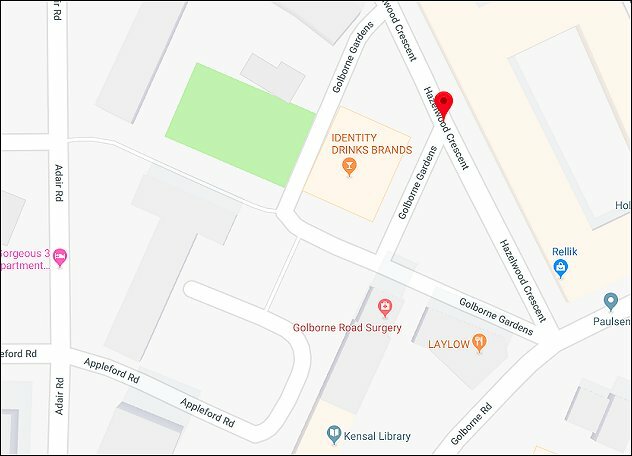 Below is a screen-grab from Google Maps of the area as it is now, including the Appleford Road and Golborne Gardens street names. Many thanks to Dave Walker. He updates the Library Time Machine blog every week and it’s always full of interest. Read it here.